We have been mightily impressed with rising band KAWALA ever since we heard their beautiful single Do It Like You Do earlier in the year. The band, led by Jim Higson (vocals) and Daniel McCarthy (guitar), came together whilst studying at Leeds College Of Music, who after a few months decided to dropout, head back to their beloved north London and start the band full time. Signed to Mahogany Records, the last six months have been pretty impressive with support at Spotify, tastemaker praise from the likes of Wonderland, Dork, Clash, and TMRW magazine among others, as well as radio plays at BBC Radio 1, BBC 6 Music and Radio X. Moonlight, their latest single, is an absorbing and gorgeous twilight jammer with harmonious, lilting vocals and a storytelling narrative. Upon release, the track featured on Spotify New Music Friday UK and has since been added to their The Stress Buster, The Pop List, A Perfect Day and Your Office Stereo editorial playlists. 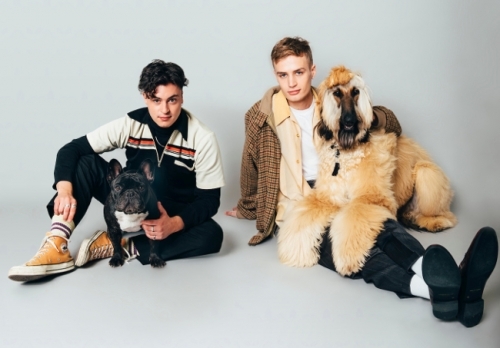 They are currently on Radio 1’s Jack Saunders presents Hopscotch Tour, having sold out their headline London show earlier in the year and performed at the Great Escape festival, Liverpool Sound City, Dot To Dot Festival and Neighbourhood Festival. If you haven't seen them yet, we recommend you catch them on the current tour or at their Great Escape First 50 show on 27 November at the Courtyard Theatre. With over 7m Spotify combined streams, support at radio and love from online tastemakers aplenty, this is a band for your ones to watch 2019.